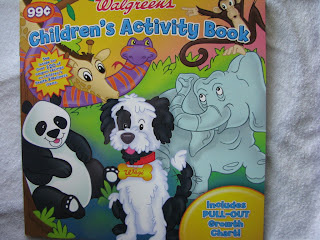 Melinda has also spotted the Walgreens Coloring Book at the 181st & Powell pharmacy counter. I have been looking for this coloring book for MONTHS. It costs $1 and includes high value Walgreens store coupons. Get it if you find it! Anon: You’re right. The coupons expired in March, which may explain why they were suddenly available. Is there a new Walgreens coloring book? If not, all of the coupons expired 3/31, I think. Just a heads up.